Now that the days of paper trenches are (nearly) long gone and you’re swimming in digital options galore, how do you know what works and what might not equal the ROI you had in mind? Your schedule probably redefines busy, so why sleuth around for the answers? Just come to me for the digital dirt and I’ll set you up with the wisdom and guide you to the tools that actually ramp your business Cloud-bound (i.e. skyrocketing success in all matters ROI and keeping your clients and employees delighted). For my team at The Boutique Real Estate Group, we’re OCD about providing world-class experiences for our clients; It’s our marching theme for Real Estate Connect NYC. We’re in the business of writing our client’s story. When they look at a property, they imagine and dream and wonder. When you set up your Real Estate business with the right tools, you’re able to kick off their story with a happy prologue. Excited to get started? Wonderful! We’ve vetted the digital market for ideas that struck magic and tools that did wonders for our client base. Always Keep It Mobile and Tablet Friendly: Give us location independence and freedom to create, share & sign on the fly. We are all traveling 100 mph in a 55 mph world so this is essential to any business. If it’s not mobile it does not exist. Apps Give you “Crystal Ball Powers” – Gmail apps integrated into your Chrome Browser give you Crystal Ball Powers that allow you to tailor messages, track responses and “big brother” inbound emails so you can work some magic with your clients. The C in CRM Stands for (Client) Conversion: CRM integrations for your website (SMS notifications & auto-email responders) let you respond & convert clients quickly and track progress seamlessly. Invest in a Company Intranet – Creating specific channels to streamline communications to specific topics (Technology, Social Media, Contracts, Staging, Creative Design, CRM, Competition). And it has to be mobile. We’re the pioneers behind Real Estate digital disruption. Now that I’ve shared my secrets, I pass the mobile phone (i.e. baton) to you to socialize your words of wisdom and tools of choice. Every winning tidbit leads to a massive win-win: inspired agents and brokers who’re empowered to make dreams come true. Please share away in the comments below. 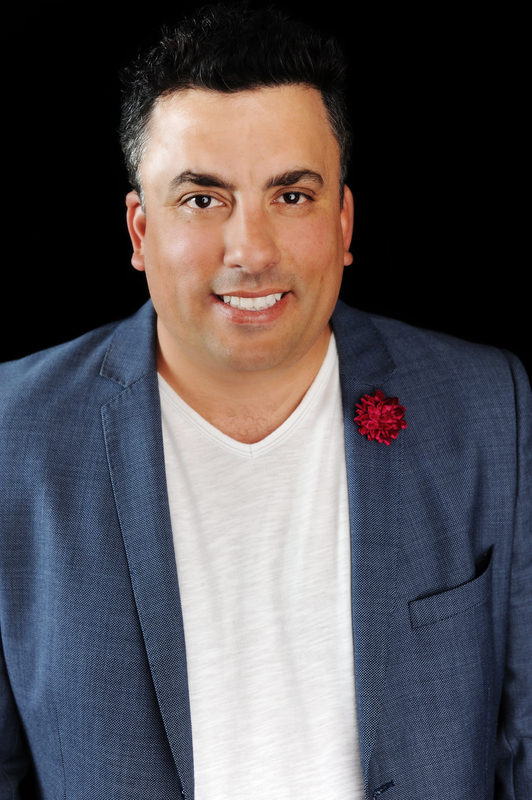 On January 1, 2013, Raj Qsar launched his great experiment: a brokerage that eschews more traditional real estate methods in favor of a new and creative marketing approach. The Boutique Real Estate Group began its journey on that first day of 2013 with three agents, a creative director, a social media manager and an office manager — and it’s taking southern California real estate to a new level. The experiment worked. This was in 2009, before video was a buzzword, before video was cool. Real estate “video” at that time typically consisted of a fancy slideshow: still images pieced together using zoom effects, with pleasant music playing in the background. “That’s not video, that’s pictures stitched together to appear video-like. It’s fake video,” Raj told me. Raj was at a listing presentation for an expired property. It had languished on the market for nine months with only five showings and no offers. Raj pitched the idea of a “real life” video to the sellers, one that would focus on why the sellers had lived in and loved this home for so many years. It would highlight not only the home, but also weave the community and local businesses into its story line. They loved the idea. Raj walked away with the listing and a promise to create a new kind of video. There was one problem: he had no idea how to do that. Passionate about creative design, Raj knew where to find the right people to pull this off. They storyboarded some ideas, professionally staged the home, took amazing photos, shot true video footage of the home and neighborhood, created an online marketing campaign, translated that campaign into multiple languages and set off to sell the property. With the video complete, Raj delivered it to his sellers and asked them to share it with friends, family and neighbors. The home was in a small, tight-knit, gated neighborhood, and the owners shared the video with their Bunko group — which included about 70 of the neighborhood’s 100 homeowners. Raj is proud of the fact that they took that listing and got an over-list price offer in two weeks. But he’s prouder of the fact that the video was so well received that over the next three years, they listed 13 homes in that subdivision, setting price records almost every time. The owners loved the video. They shared it with other homeowners who loved it. It was high quality, it was memorable, and it made the phone ring when people were looking to sell. In case you think this reception of a property video was just dumb luck, there are other similar stories. A condo association played a video produced by Jeremy Lehman, The Boutique’s CTO, at their board meeting because it highlighted the neighborhood so well. A couple of the board members were considering selling their homes. Who do you think they called? The Boutique group has now listed 15 of those condos. As time marched on, Raj took video production in-house. He bought the equipment and brought in experts, lowering the production cost and allowing them to shoot videos on about half of their listings. If there is a story to tell, they will tell it in multiple formats, across multiple platforms, including video. But Raj stresses that it’s not just video. When The Boutique takes a listing it usually spends about three weeks getting it ready before submitting it to the MLS. “We do,” said Raj. They storyboard the property and neighborhood, professionally stage the home, hire select professional photographers, process and edit those photos, shoot and edit video, create a 90-day content calendar that maps out how the listing will be promoted on various social and listing syndication sites and discuss how will they share the home’s story. Then, and only then, is the property ready for the MLS and their marketing push. Ask most fledgling brokers or team leaders about their first hire and they will probably say they brought in a transaction coordinator, buyer’s agent or office manager. In fact, every person I’ve talked to who built their own team or brokerage started by hiring one of those people. Until I talked to Raj, that is: His first hire was a creative director. Their graphic designer on staff — on staff, not contracted out — is degreed. “It’s not like we are using the broker’s assistant’s cousin who just graduated from junior college to do our design work,” said Raj. That attitude defines Raj and The Boutique. He wants the best, and only the best, for his brokerage, his agents and his clients. Pretty pictures are nice, but ultimately you need leads. I asked Raj about his strategies for lead generation and listing syndication. One of the first things The Boutique does when they get a new agent is have them sign up for the “pro” level on all the major search sites. This ensures agent buy-in and facilitates lead management and consistency. “Speed of response to Internet leads is critical,” Raj informs us. “We used to route leads to agents on a round-robin basis. As we got more sophisticated, and realized that if you don’t reply to a lead in two minutes that you’ve lost it, we brought in an in-house lead incubator whose job is to qualify and curate contacts.” The Boutique generated 3,600 inbound leads in 2014 though portal advertising and in-house lead generation efforts. Staffing a lead incubator position has freed up Raj’s agents and shifted them from receiving brokerage leads to receiving appointments. Talk to Raj for two minutes about real estate and you will see that he is a very passionate man with a strong focus on creative design. This comes through not only in his listings, but in his philosophy on running a brokerage. How does that vision scale? Can it scale? What are Raj’s future plans for The Boutique Real Estate Group? “I’d like to open another five offices in southern California in the next five years,” Raj told me. “What about expanding outside of SoCal?” I asked. The Boutique Real Estate Group is known as “the video brokerage,” so we’d be remiss if we didn’t include some sample videos. Visit The Boutique’s YouTube Channel to see how they market their listings — and their brokerage. Here is a recent listing video that exemplifies The Boutique’s philosophy of storytelling. And here is a video for a magnificent luxury estate in Hawaii. The Boutique Real Estate Group was brought on as a co-lister for this property due to their skill and expertise in social media, video and creative design. In 1982, the Internet protocol suite (TCP/IP) was introduced which in effect, launched the Internet. Nothing has done more to transform culture, the economy and real estate in the last three decades. In honor of the 33rd anniversary, we are recognizing 33 people who are changing or will change the real estate industry in 2015 and beyond. No points for tweeting, schmoozing or maintaining the status quo; this list includes only those who are poised to change the industry and are taking actions to do so.